Is There Still Room for Sanctions to Succeed in North Korea? North Korean marketization may lend hope for sanctions to work, if the U.S. and China can coordinate. Although sanctions have appeared to fail in stopping Kim Jong-un’s nuclear adventure, the window for sanctions has not completely passed. The increasing number of North Koreans who accumulate wealth and became aware of the prosperity in China and South Korea give a ray of hope that sanctions can be used to make Kim to feel the pain, as intended. To let sanctions play out their power, U.S.-China mutual understanding and coordination on where to go next on sanctions will be critical. In North Korea, marketization grew from the hardships of the 1990s. It has now reached a point that there is no turning back. Nowadays, North Koreans earn the bulk of their income from market activities, and purchase food and consumer goods in the market as well. The new rich, who benefit from an entrepreneur-bureaucrat symbiosis, are willing to live with current political arrangements and let Kim take credit for the improvement of living standards. With marketization grows a sense of self-reliance in making a living without help from the state. If the sanctions were to succeed, the hope would be on the rising middle class to discredit the worthiness of sacrificing decade-long economic growth for pursuing nuclear deterrence. The North Korean regime fears domestic discontent more than a pugnacious Trump. Attempts to curb market activities in late 2000s failed spectacularly, culminating in the currency reform effort in 2009, a fiasco that fueled widespread resentment. Since then, state-tolerated marketization flourished and brought with it outside information, reinforcing the decay of ideological control over the North Korean people. Ultimately, energy capping and isolation from the international financial system will determine how far the marketization-released growth can go. If sanctions lead to stagnation or worse, consume what North Koreans have gained, the Kim regime will have to make strenuous efforts to justify the Byungjin policy of simultaneously pursuing economic development and nuclear capability. Surely, the pathway to force a bottom-up policy change remains unclear. However, sources have shown that the regime is by no means immune to public discontent which will surely brew without continued economic progress. UN sanctions before Resolution 2375 passed on September 11, 2017, had targeted North Korea’s foreign currency earnings and luxury goods for elites. 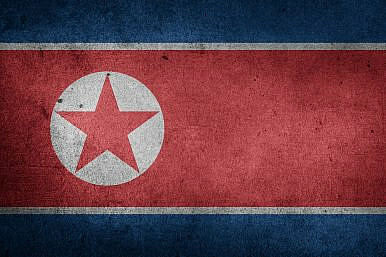 Illicit trade networks and indigenous production helped mitigate the impact, and the regime sheltered strategically important groups — the military, party cadres, nuclear scientists, and Pyongyang residents — by allocating limited resources to them. The oil ban in Resolution 2375 suggested a considerably tighter grip compared to previous sanctions. Energy shortages will not only cause inconvenience to civilian life, but also impact irrigation systems, manufacturing and logistic networks. Likely, the impact will be manifest in surging energy costs and henceforth inflation in consumer goods market. The challenge, however, is U.S.-China mutual understanding and policy coordination on the issue. China faces higher marginal cost from implementing cut-throat economic sanctions. Risking a regime collapse will remain beyond Beijing’s tolerance, even if the DPRK becomes a strategic liability. In response to North Korea’s sixth nuclear test, the United States and China wrestled over whether to completely cut off fuel supply to North Korea, ending up with a compromise on an overall 30 percent reduction. The bargain over fuel capping reflected the underlying difference between U.S. and Chinese views on sanctions. Washington hoped economic sanctions alone would pull Pyongyang back. Beijing, afraid of a regime collapse from within, would cautiously squeeze Pyongyang and avoid any abrupt change with strategic uncertainty. More than refugee and proliferation concerns, the purpose of the U.S.-ROK alliance and American military presence on the peninsula has to be taken into consideration. To incentivize China to use its economic leverage, the United States should be willing to talk about opening talks. Tillerson’s revelation of secret channels with Pyongyang brought some hope. China’s cooperative gesture to order the closure of North Korean foreign trade companies came right before Tillerson’s visit. The fact that Tillerson revealed secret channels following a meeting with Chinese leaders suggested the two countries may have reached some common understanding of the path forward. Although China’s double-suspension proposal lacks support from the United States, the two countries could pursue a range of confidence building measures. Potential options for the United States include reduced threats of preemptive strikes despite military readiness, engagement with North Korea via informal channels, and intelligence sharing with Beijing on North Korean proliferation activities and cyber threats. These measures to defuse U.S.-China mutual suspicion helps move sanctions forward and test how Pyongyang will react. The North Koreans who prospered from market activities give some hope for economic sanctions to work. However, a one-dimensional strategy to keep mounting sanctions will not generate the right momentum. Washington should consider enhancing coordination with Beijing on where to go from sanctions, and more importantly on how to empower North Korean people vis-a-vis the state. The clock is ticking. North Korea’s domestic economy may be very resilient but it is not beyond the reach of international tensions. A Season of North Korea Summits: The View from Beijing and SeoulChina's November Customs Data and North Korean Sanctions EnforcementNo Red Lines? China and North KoreaCan China Curb North Korea's Nuclear Ambitions?What’s Behind Sino-Russian Cooperation on North Korea?